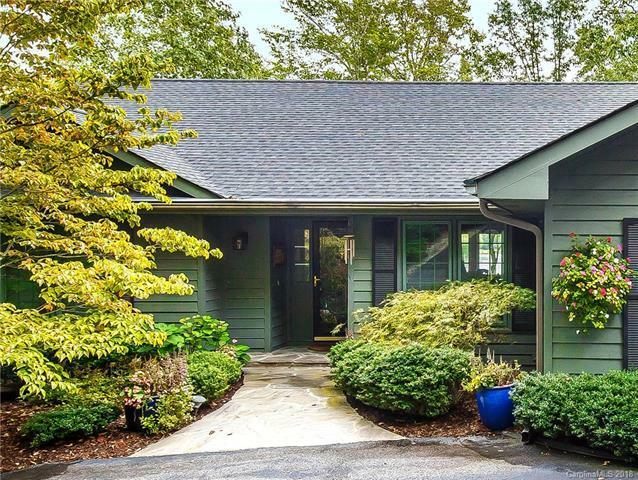 A beautiful lakepoint property with 400 ft. of lake frontage, lake views on three sides at Connestee Falls A Premier Western NC Gated Community. Enter this updated one level living home to a impressive great room with walls of glass overlooking Lake Wanteska and mountain views beyond. Includes pellet stove, hardwood floors, vaulted ceilings, Large island kitchen, new S/S appliances, solid service counter tops, lake views overlooking natural landscaping with a water fountain feature. Media room nearby with custom cabinets, gas log fireplace. Owners quarters iincludes a sitting room area with gas log fireplace. Custom closet with built ins overlookimg lake. Bath offers his/hers sinks. Sunroom surrounded with glass exiting to rear decks. Includes an oversized garage with upper level storage. Separate potting shed. Come see why we love living where we play.